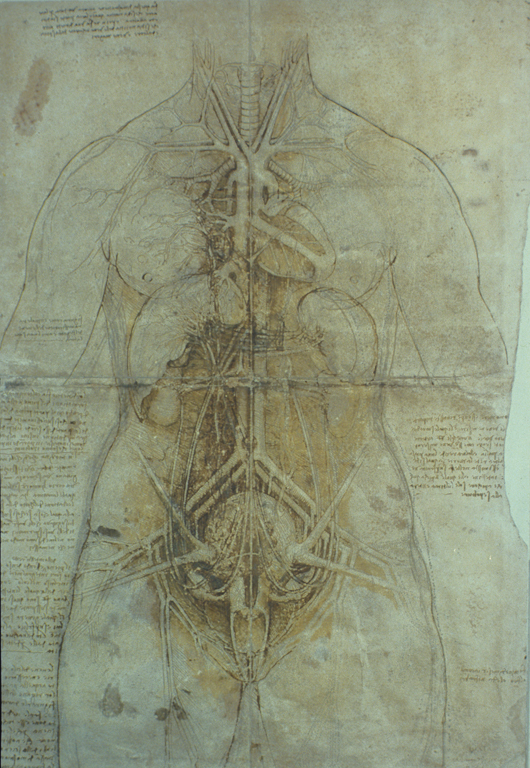 In his scientific and technical drawing Leonardo experimented with many of the illustrative techniques used in later textbooks, including various forms of solid section, transparency of overlying parts and exploded diagrams of components. He pushed the descriptive potential of static drawing on a flat surface towards its ultimate limits. Windsor Castle (Windsor, England, United Kingdom) RL 12281; Royal Library. Bequeathed to Francesco Melzi; probably acquired by Charles II; in the Royal Collection by 1690. 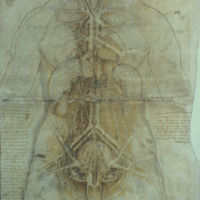 Leonardo da Vinci (Italian artist, 1452-1519), “Principal organs and vessels of a woman,” Institute Images Online, accessed April 24, 2019, http://westerncivart.com/items/show/2947.